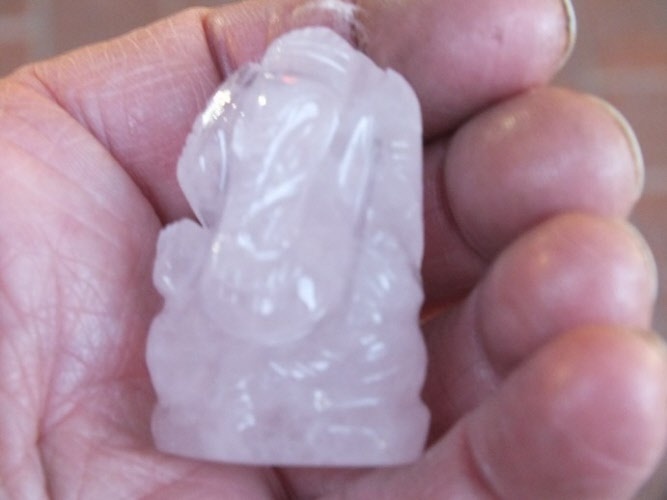 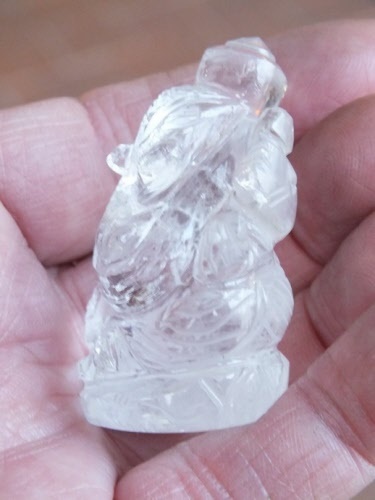 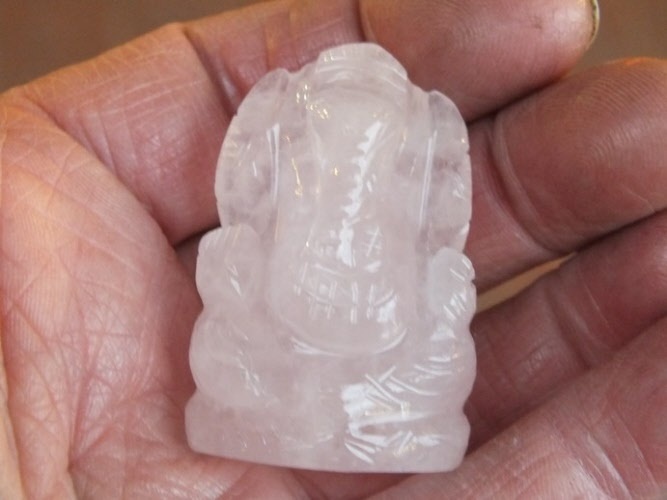 Beautiful hand carved Ganesha statue - carved from genuine Quartz Crystal by master craftsmen. 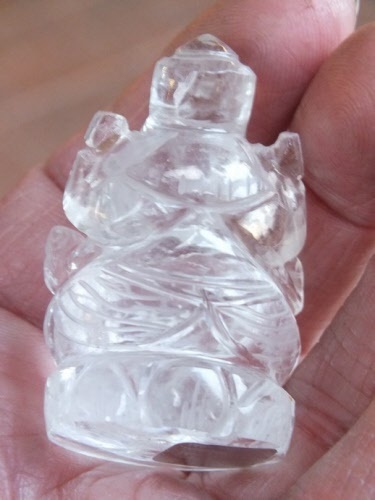 You don't see many of these around. Click on photo to see many more views. 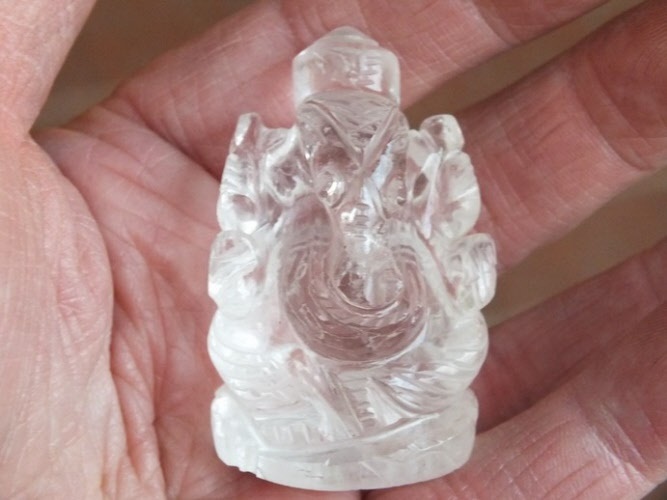 The Hindu god of wisdom and learning, also known as the remover of obstacles. 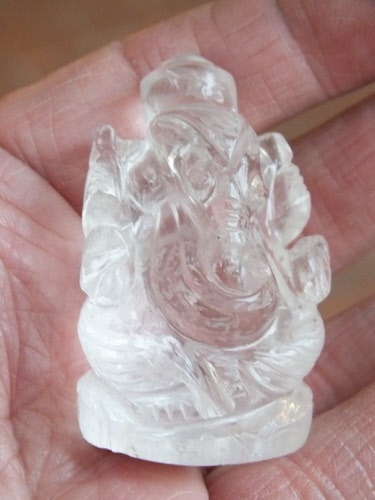 Beautiful Ganesh statue hand carved by master craftsmen and women in India. 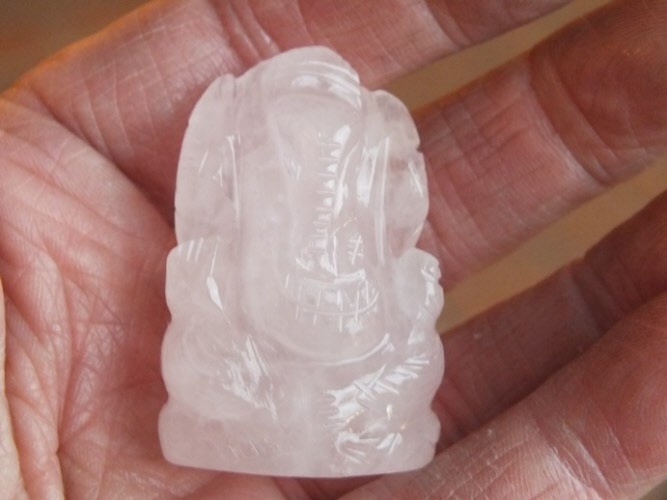 Measures: 2 inches tall (approx) Genuine Rose Quartz Crystal. 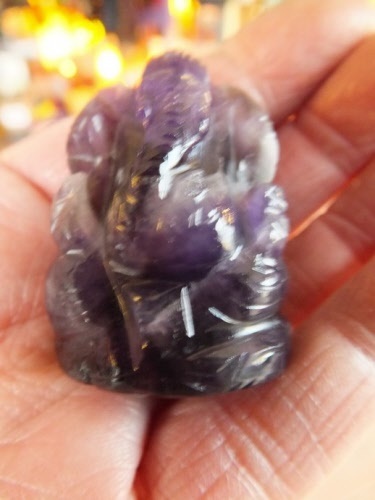 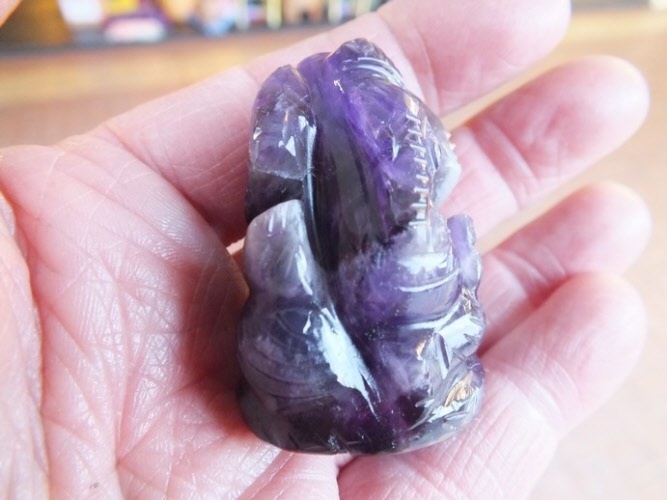 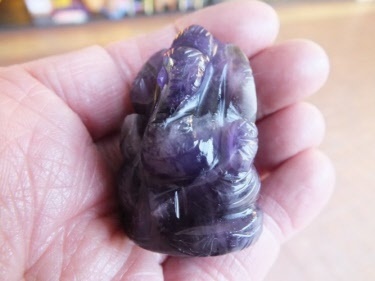 Beautifully carved Ganesha statue, made from genuine Amethyst gemstone. 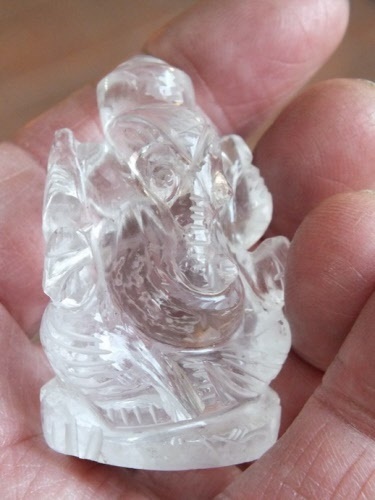 All the way from India the home of master carves of crystals.